Congrats! This project has reached its minimum needed of £7,000 and is going for its target of £15,000! 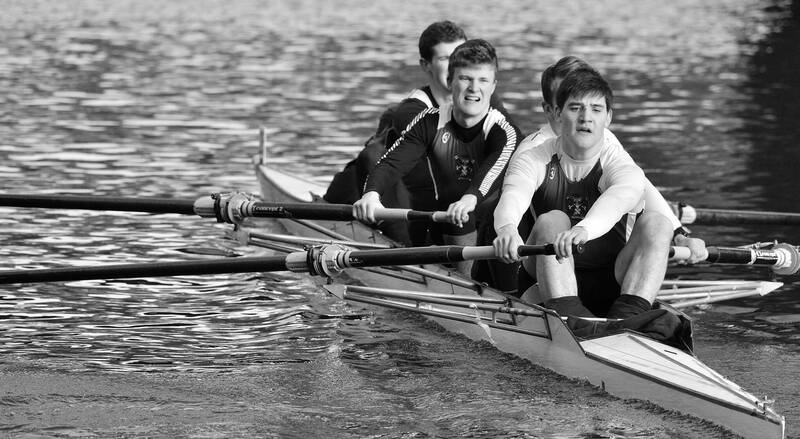 We’re Grey College Boat Club and we’re on a mission to find ourselves a new four. A new boat will help our squad reach new heights and win big and with your help we can achieve this. Grey College Boat Club, or GCBC to our nearest and dearest, is the rowing club of Grey College. We are a student club, run by students for students. Our goal has been to get as many students as possible involved in rowing, at both an elite and a casual level. We currently have a club 50 members strong, growing year on year thanks to the fantastic work of our recent Novice captains, creating a love of rowing and a drive to succeed in the sport within our development squads. The current state of our men’s fours is not fantastic. Our boats are so old that we can no longer buy replacement parts for them. Our top four squad is held back from achieving its full potential by equipment malfunction. The dents in the hull do not count as go faster aerofoils. There’s a real need for equipment investment, a new four can help push the men’s squad, and GCBC, in its entirety to new heights. The new four will be brought in for the senior squad, also providing a goal for the development squad to strive towards. I came to Durham University in 2017, fresh faced and eager to get involved in university life. However, I thought one thing: I don’t want to row ever again. I had rowed for my school for four years, and found the sport had grown stale, and I wanted to try something new. As you can guess, I succeeded in this endeavour for exactly one term. My friends had begun their rowing careers during Fresher’s week, and had spent the Michaelmas term being trained up, telling me about the many crazy experiences that seem to come from being a member of the Development squad. They pushed me to join GCBC and I eventually succumbed. It took me all of one week to become hooked again, drawn in by the club atmosphere, the support and friendliness which I hadn’t found anywhere else. Now, a year later, I never look back and decided I want to give back to the club that has provided so many amazing memories for everyone involved with it, not just me. That’s why myself and Louis, our club president, have been spearheading this project, both of us eager to see the club grow and unlock its full potential through the purchase of a new top four. It’s exactly what the club needs, a fresh kick which will see the club reach new heights, and it’s a future I can’t wait to be a part of, so please help us in pushing GCBC forward in our aim to sit atop the college rowing scene. The current men's top squad at the Head of the River race 2019, after a GCBC best finish of 179th out of 301 eights. The men's top four racing at Tyne Head of the River and Durham Small Boats head respectively, last February. We know what we want: a coxed ex demo Filippi men’s four. Filippi make some of the best boats around. Many international crews, as well as a large proportion of DU boats, use them at the top international events. We will need about £15,000 to £18,000 in total to buy a Filippi shell. This includes the riggers and seats necessary for rowing, we already have the blades available to us. We’ve already raised £2000, and we have a pledge of a matching grant from the Grey College Trust for up to £3000. Of course, if we don't reach our target, we will look at alternatives. Other brands, such as WinTech and Stampfli, also offer substantial improvements on our current fleet, but for the lower price of £12,000. Any donation will go a long way, even if we don't manage our target. The Australian National Coxed IV, rowing in a Filippi shell like the one we're hoping to raise money for. We'll be posting regular updates on the progress, as well as showcasing the results here. You will receive a thank you email from the club, as well as regular updates on the progress and results of the fundraiser. A personalised thank you letter from the GCBC President and Captains, showing our appreciation for your support. Have your name inscribed on a plaque to be displayed in the GCBC Boathouse, as a thank you for your generous support. All donors at this level will be invited to attend the Launch event for the new four, once it arrives up in Durham. An invitation to both the launch event and a Formal Dinner at college in the evening, to celebrate the club and it's achievements. Claim one of the seats in the new top four, with your name inscribed on it, ready to be used in races up and down the country.